Obviously that's not possible, so what's up with that review queue? Looks like a server-side issue, however using Google Chrome 45.0.2454.93. Raising the bar to 100 would require changing two variables at once. Since that would make it harder to evaluate each individual change, I'd like to try raising the reputation for getting enqueued to the Late Answer reviews to 50 and reconsider upping it to 100 at some point in the future. Not the answer you're looking for? 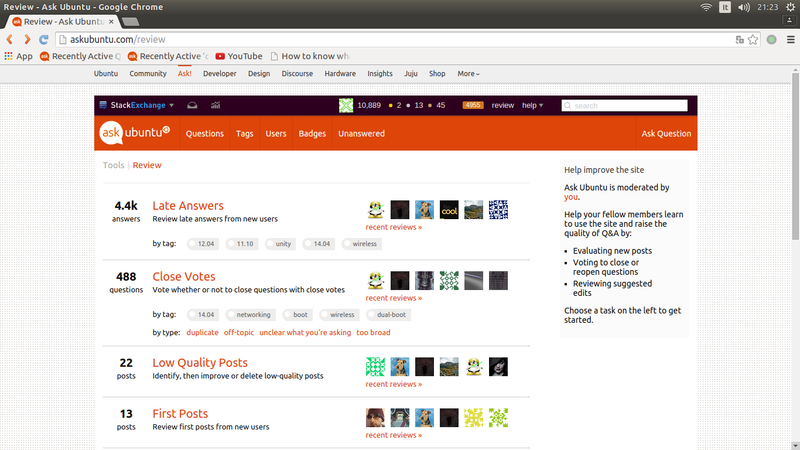 Browse other questions tagged bug review-queue . Why are there so many late answers in the queue?